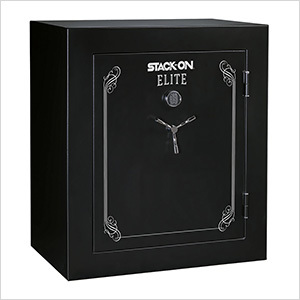 This Stack-On Elite 64-90-Gun Fire Rated Safe features height adjustable carpeted barrel rests that provide flexibility to store MSRs, ARs or long guns. 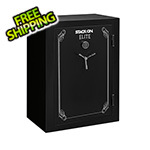 An included "extra" barrel rest allows you to configure the safe for convenient gun access or maximum gun capacity. 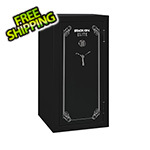 The factory installed door organizer provides added storage for pistols, magazines and other gear.